Idris 'Taff' Barwick was a driver in the Royal Army Service Corps and one of the thousands of young British soldiers taken prisoner by the Japanese at the Fall of Singapore in early 1942. He was ordered to become a medic by his Company Commander, who must have been a very shrewd judge of character. Taff's account of the conditions and suffering endured by his fellow prisoners and himself makes for the most extraordinary and disturbing reading. Taff suffered from dysentery, malaria, beri-beri and cholera but, unlike so many, he survived. His description of the courage and despair of his fellow captives is very compelling. 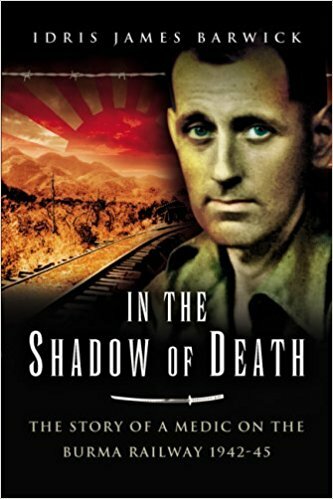 In the Shadow of Death is a brilliant, shocking and deeply inspiring account of one of the darkest periods in British military history. If you only read one book by a POW of the Japanese, this is the one. ISBN: 1-84415-246-4 Hardback, 224 pages, price £19.99. You may also order this book through your local book store.